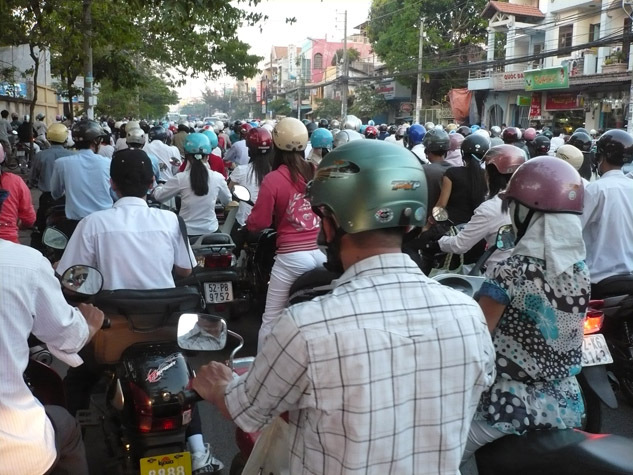 About 90 million people, including me, think that riding a motorcycle is the best way to get around in Vietnam. Motorcycle and Scooters of 110cc and less are the most prevalent but there are all sorts of other motorised two and three wheeled contraptions transporting all sorts of things such as panes of glass, heavy loads of house bricks, 6 meter lengths of construction reo rod. Everything and anything is transported by motorcycle. 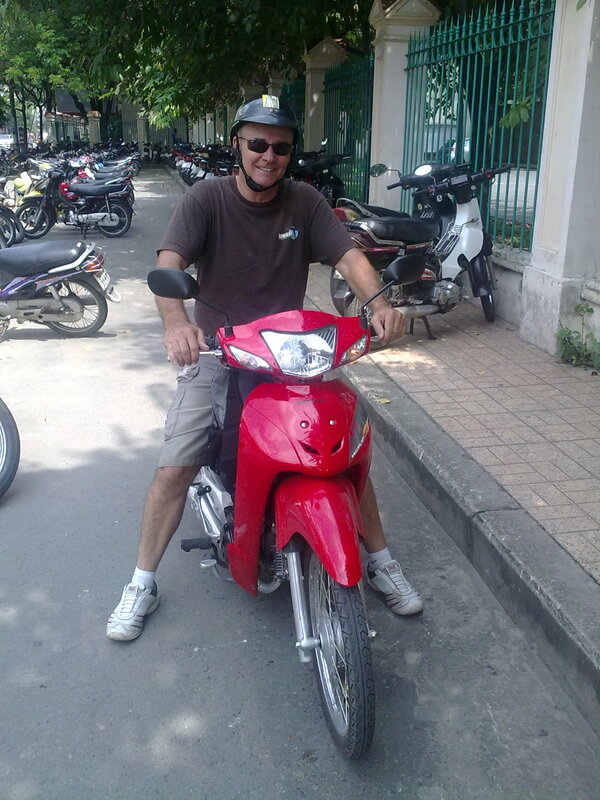 There is something amazing about cruising around the towns and cities of Vietnam on a motorcycle. You can cover so much more ground, which is great for exploring and you can also enjoy the wonderful sights, sounds and smells of the surroundings that might otherwise be missed if travelling by car or bus. Motorcycle travel also offers total independence, which is the main attraction for me. When exploring a new town I love to take time to cruise around, stop for Café Sua Da (Ice Coffee), take photos and talk to the local residents. This all adds to learning more about Vietnamese Culture and the people that I have grown to appreciate so much. 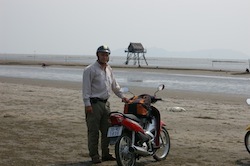 In short, motorbike travel in Vietnam allows you to get to the places possibly not reached by most tourists. 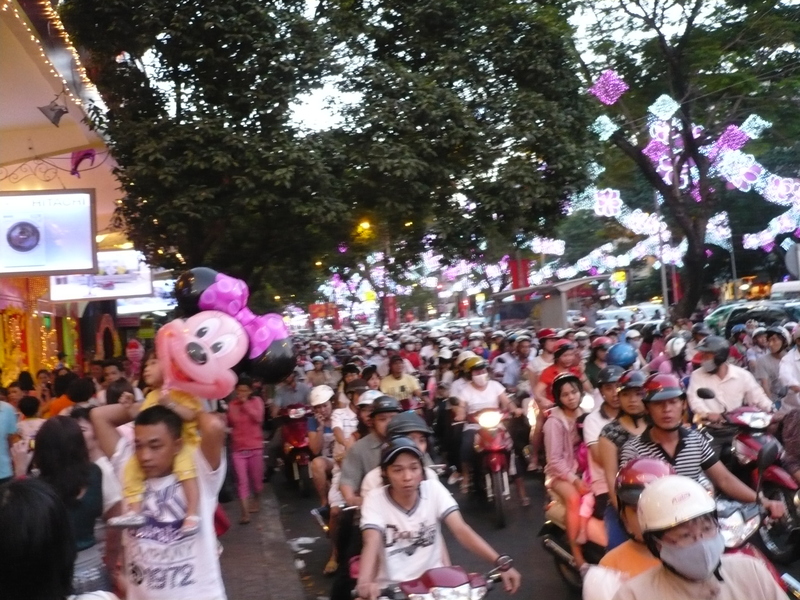 Whether a town or big city an evening ride downtown is something of a national past time amongst the Vietnamese and it is common to see a family of 4 (Mum, Dad and a couple of kids) out enjoying the hussle bussle, the city lights and the cooler night air on the family Honda Wave. Having many years of experience riding motorcycles in Australia I really found myself going back to basics when I first rented a motorcycle in Hoi An. I was so excited to be on my adventure and I took off up the road only to find the front brake lever pulled right in to the handle bar, the cable so slack that it would not even slow my 83Kgs, not to mention an emergency stop. I consider myself lucky that I was able to pull up safely and I spent 10 minutes adjusting the front and rear brakes. I could have taken the bike back to the owner and complained but it is my belief that my welfare is my business. I should have checked before risking an accident. Ride to Can Gio ion my trusty Honda Wave 110. 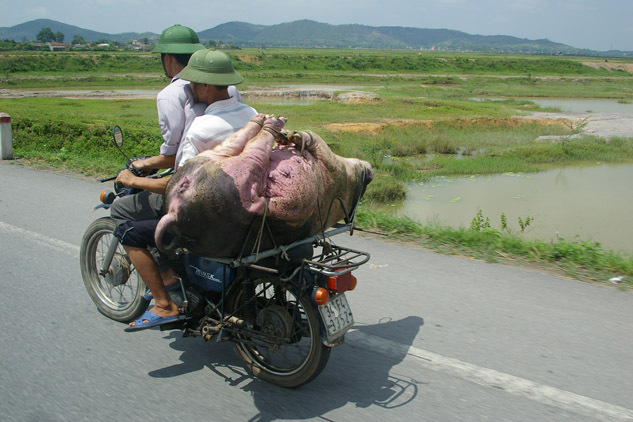 Riding in Vietnam requires a special set of skills and in the big cities, is more akin to swimming with a school of fish. Perhaps the key to safe riding is to be very aware of your surroundings and expect cars and bikes to pull out in front of you. If in doubt, slow down and expect the unexpected. Motorcycle riding is inherently dangerous and I strongly recommend that if you choose to ride a motorcycle in Vietnam, even the most experienced riders should take extreme caution while touring this beautiful country. Riding the wide Boulevards of Ho Chi Minh City or a country track requires a heightened sense of “Situational Awareness”. Although the speed limit is 40kms in the cities you will find that your personal space on the road is sometimes reduced to a buffer of 200mm – 300mm. It is common to find yourself at the traffic lights 10 abreast and it’s a bit like a Motocross race when the lights go green. I don’t want to ramble on too much in the negative but I do want to be clear. Be prepared and take care. It is a good idea to get Travel Insurance before you leave home. You can find a motorcycle to rent just about anywhere. Most of the Hotels in popular tourist Cities such as Vung Tau, Nha Trang, Hoi An, Danang, Dalat, will have rental motorcycles available. 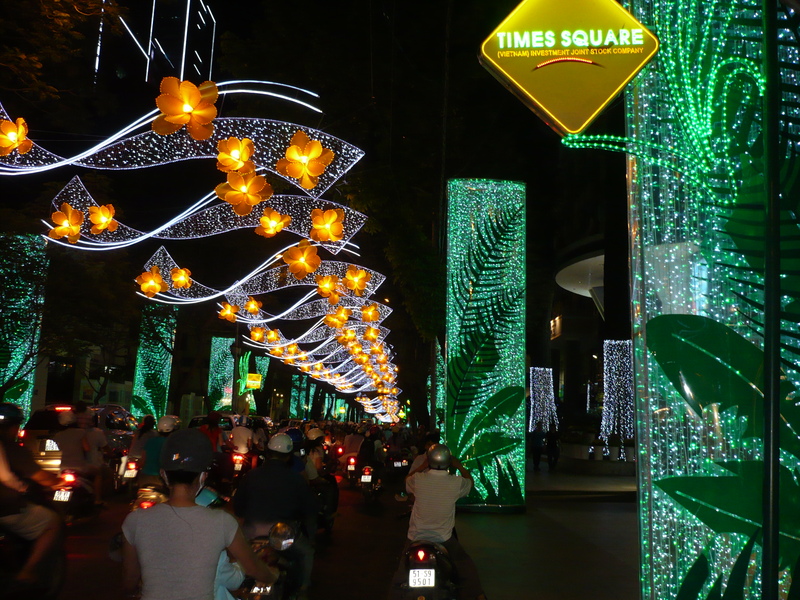 While in Ho Chi Minh City just head to the Back Packer District in Pham Ngu Lao or Bui Vien Street. Take a walk around and you will soon work out the going rate. For a Honda Wave 110 (semi auto) you should expect to pay about 100,000Vnd to 150,000Vnd per day and you will pay a little more for a fully automatic Honda Airblade or Yamaha Nouvo. 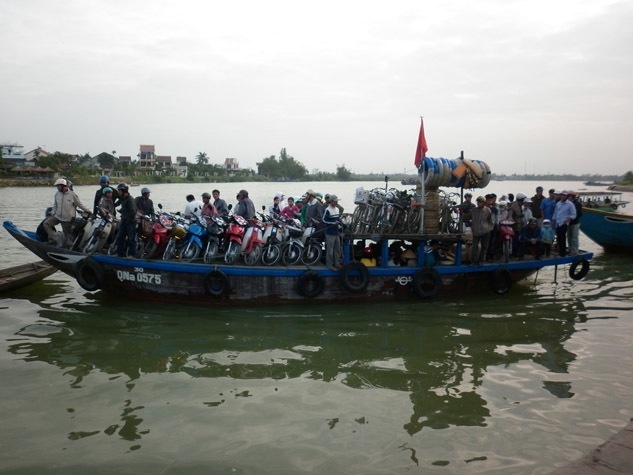 You can rent motorcycles per month and get a better rate of about 1,100,000Vnd for a Semi Automatic. 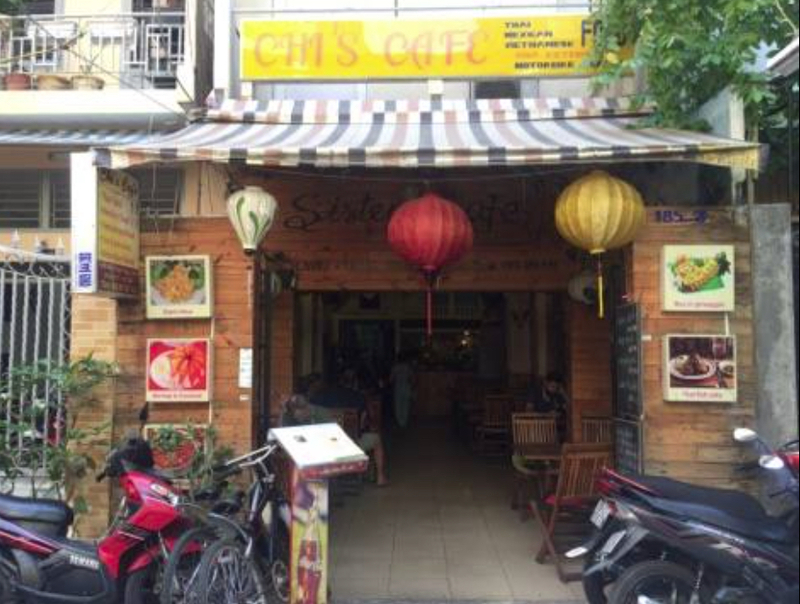 I have never seen the need to buy a motorcycle because I have rented from my good friend Chi at Chi’s Café at 30/185 Pham Ngu Lao Street in the backpacker district. Chi has a big range of newer motorcycles and over the years Chi has always made sure that I have a good trouble free bike. Chi’s Café is also a great place for a comfortable clean room at a good rate. 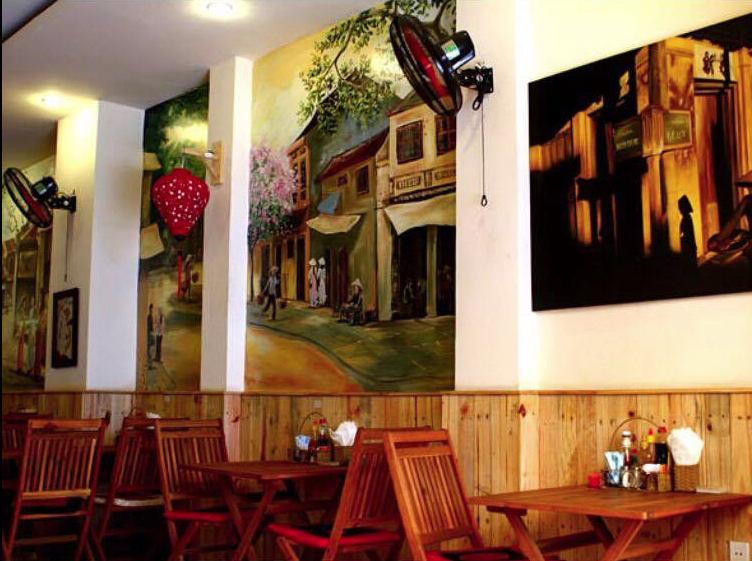 The Café has a brilliant menu and is something of an icon in Ho Chi Minh City. See Chi’s Café on Facebook. Chi and her staff are very helpful and can give you great advice on just about anything that a traveller needs to know. Talk to Chi. You will be glad you did. Please like and share if you found anything of value in this article. Much Appreciated. Happy Travelling and Take Care.